Powerful Cold Press: Low 40 RPM with 200 W motor for frustration free juicing without jamming. Covered wtih a 3 year manufacturer warranty. 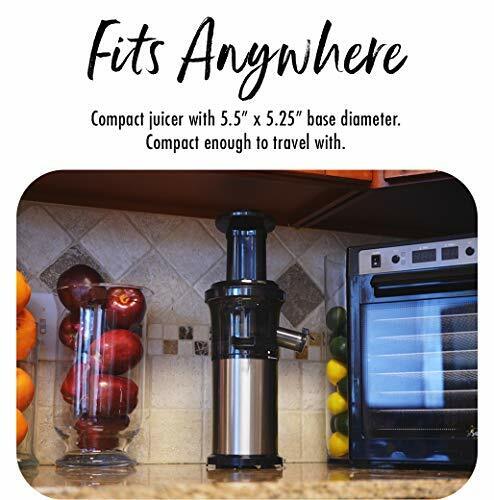 Fits Anywhere: Compact juicer with 5.5″ x 5.25″ base diameter. Compact enough to travel with. Healthy Clean Juice: 100% BPA-free interior parts, only put in what you want for clean fresh juices. Juice Cap: Prevents a juice-tastrophe! 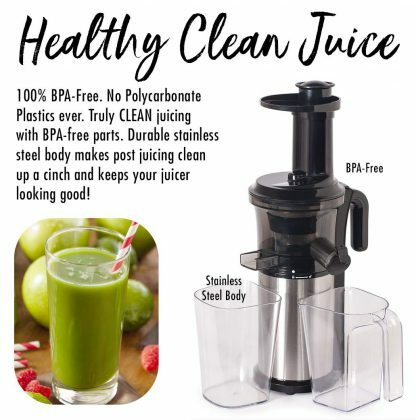 Keep all your juice in the pitcher or your cup, not on the counter. 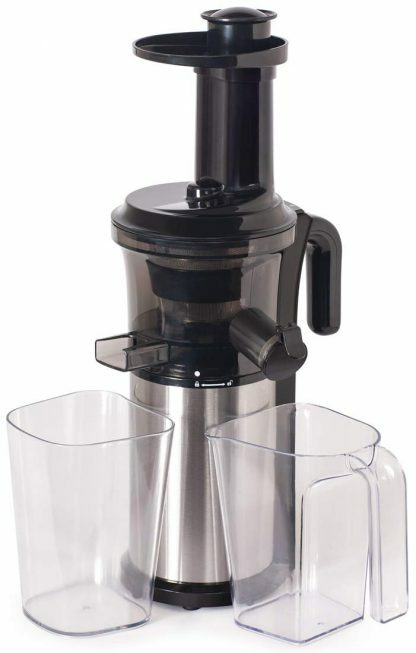 Simple & Sleek: Durable stainless steel body makes post juicing clean up a cinch and keeps your juicer looking good! 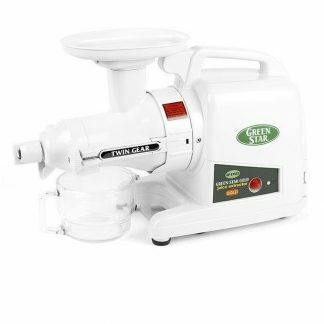 Plant Based Pros is an Authorized Retailer of Tribest products. 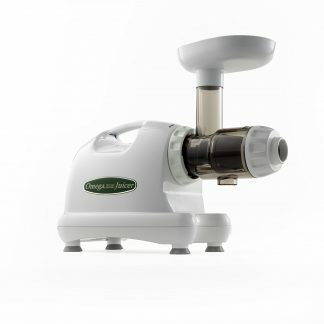 Are brand new and in original packaging. 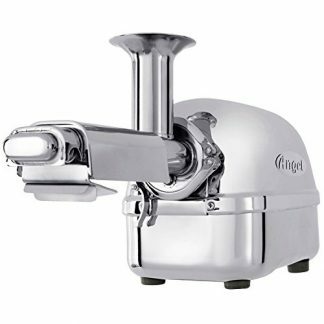 Are covered by the full manufacturer warranty. 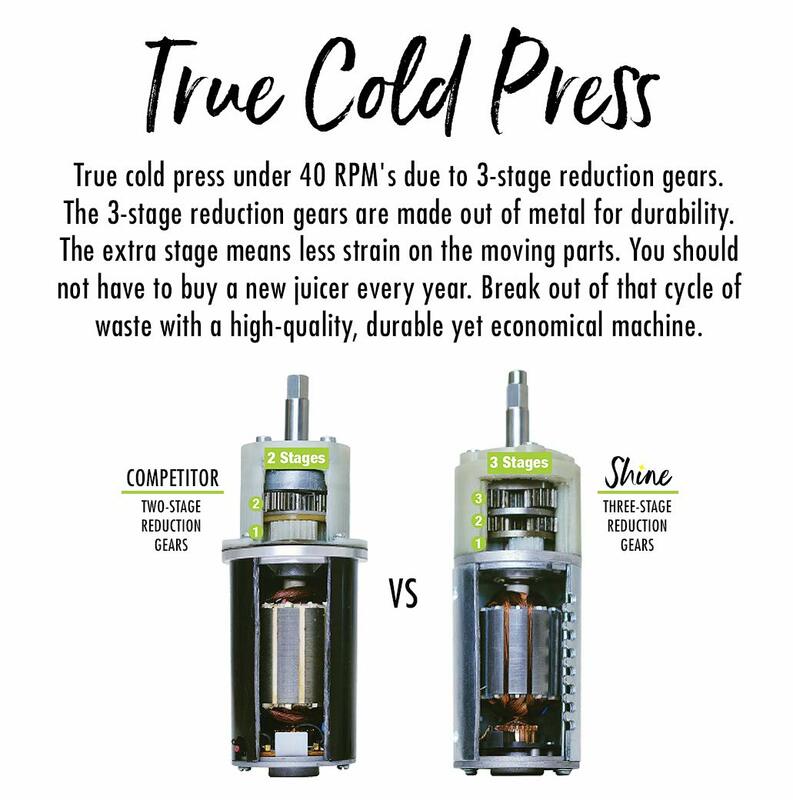 Qualify for manufacturer service and support. Introducing the first product from Shine Kitchen Co., our cold press vertical juicer. 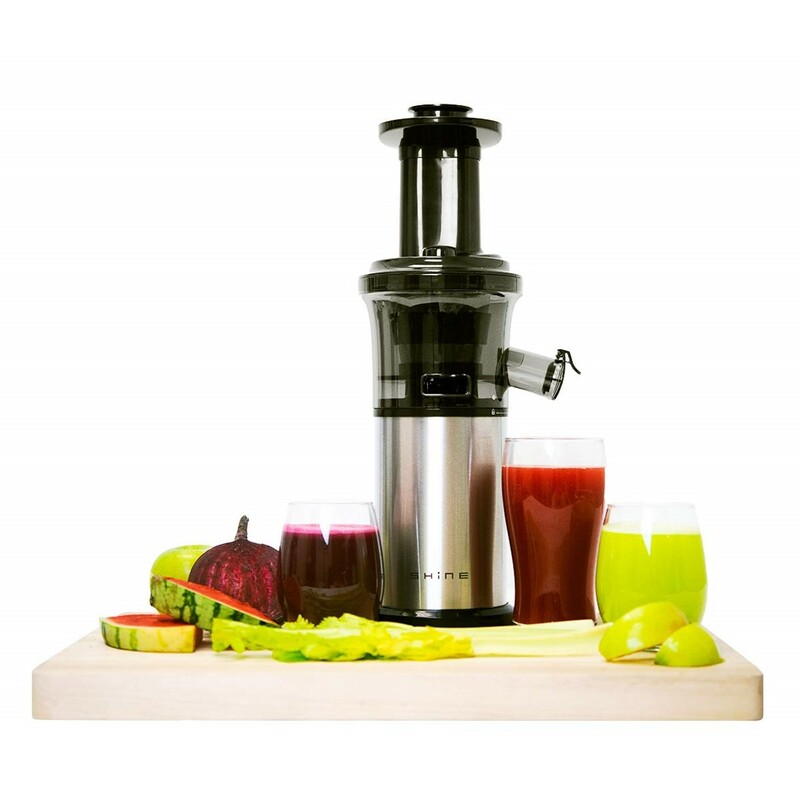 Compact, accessible and easy to use this juicer fits into any lifestyle. 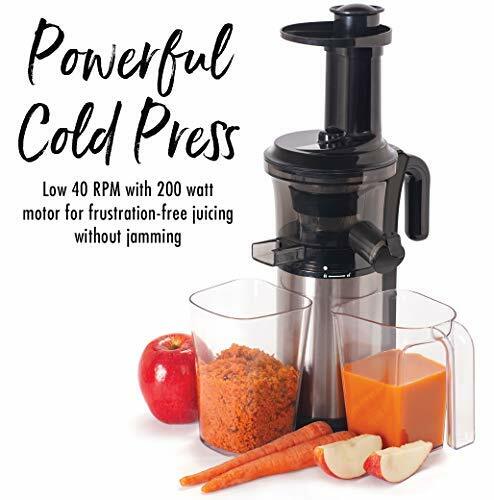 Shine Kitchen Co. was born out of 30 years of innovation by our parent company Tribest and the Shine Cold Press Vertical Juicer is backed by the same great warranty Tribest is known for. 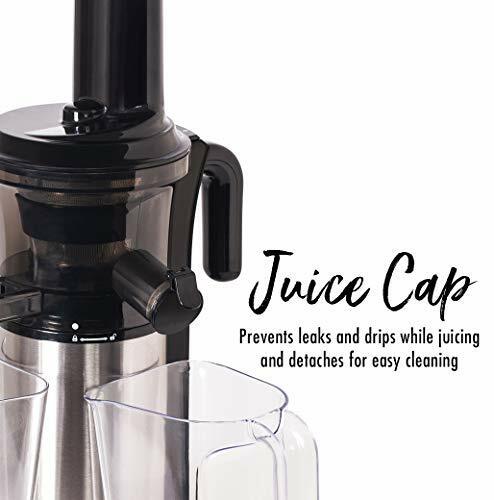 We have taken the best features from our top selling juicers the past 30 years and put them in a simple vertical juicer that fits any countertop. The design ethos at Shine is maxiumum functionality in a compact footprint. 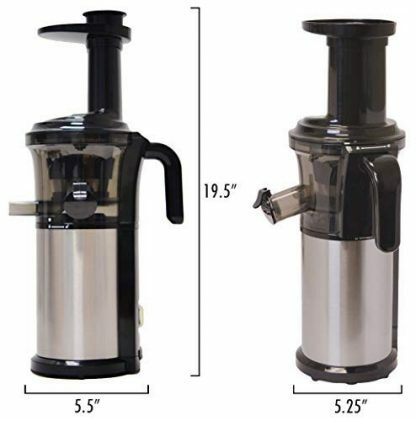 Shine Vertical Cold Press includes: Pusher: Lets you get pushy with your produce when it does not want to go down Main Juicing Assembly: Low 40 RPM singe auger vertical juicer with 200W motor, stainless steel Juice Container: Catches juice Pulp Container: Catches Pulp Slicer: Easily slice apples, pears, beets and more into 8 even slices perfect for quick juicing Brush: Makes Cleaning fast and easy.